If You’re In The Berkeley Area and It’s Monday (or any other day), I Found The Perfect Place! – It's Wine By Me! If You’re In The Berkeley Area and It’s Monday (or any other day), I Found The Perfect Place! Word of advice: If you’re a serious wine lover, have a day in the Berkeley/Oakland area, and don’t want to go very far, make sure it’s not a Monday. I learned that lesson the hard way. The last full day of my vacation after driving nearly 700 miles all over wine country (and even down to Monterey), I was determined to find something to do close to where I was staying for the last two days of my trip. 1) Broc Cellars. I haven’t tried Chris Brockway’s wines yet. 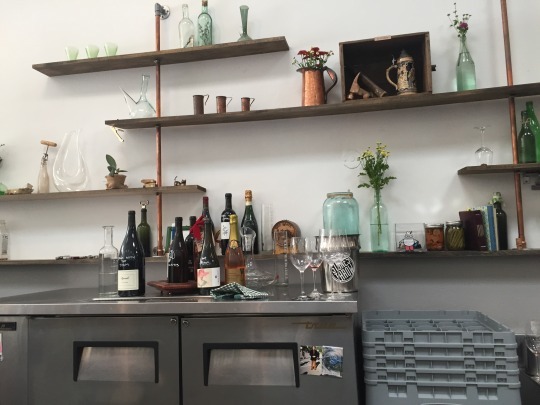 But the little I know from the social media accounts of industry folks whose palates I respect (and this great Eric Asimov New York Times profile), not getting into this tasting room was heartbreaking. I discovered its location on a Sunday evening on my way back to my friend’s apartment from a beautiful visit to Stinson Beach. The painted square label – using its signature whimsical artwork – screamed out from the building’s corner location. Known for natural wines from non-conventional California grapes, I have no doubt this would have meant a fun and educational tasting. 2) Kermit Lynch Wine Merchant. The famed wine importer’s retail outlet would have been the equivalent of wonderland for anyone interested in French and Italian wines. Or at least that’s how I would have hoped it would be. Since it’s difficult to know which are the best wines from far off wine regions, understanding the preferences of an importer becomes a wonderful guide in discovering new wines. And who better to to learn from than the most famous wine importer in the U.S. I only know Kermit Lynch by his multi-decade-long reputation of choosing terroir-driven wines, but it would have been a great lesson to really see which wines he recommends. Our name refers to vin ordinarie, or “everyday wine,” which is wine that never makes it into bottle, but is kept back for the winemaker, close friends, and the local bistro. This is the point of the shop: using wine to transform our concept of the ordinary——to transform our concept of the possibility of the ordinary. L’ordinaire est possible! But when I looked up its address, I was hit with the awful news, that they, too, are closed on Mondays! Not completely discouraged about a lack of somewhere to visit, I discovered a cheese shop. 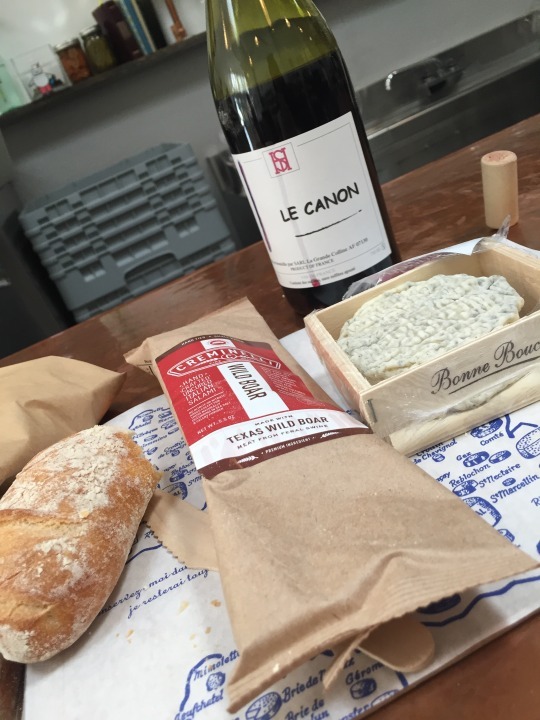 If I can’t do wine for lunch, then cheese seems to be the next logical place. But just my luck… The Cheese Board Collective (ummm, hello! I didn’t even need to read much more to know this would send me to a happy place) closed at 1 p.m. on Mondays. It was already 12:15. Sigh. So where did that photo at the top of this post come from? And where can you find a magnum of Hérve Souhaut and a bottle of Michael Cruse wine sitting on the counter opposite a tasting bar? Welcome to Bay Grape! 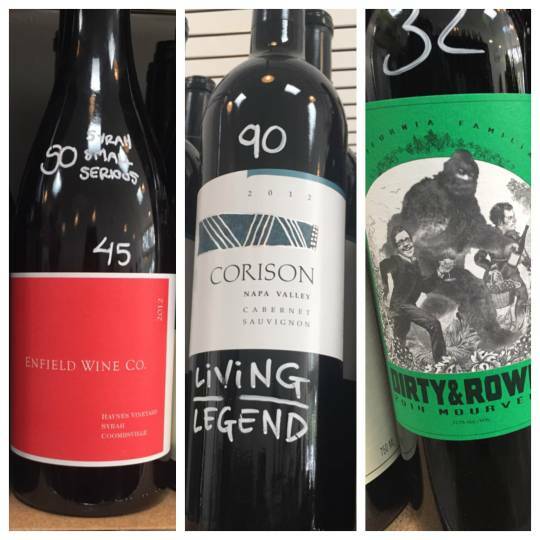 This wine shop lets you purchase a bottle and if you pay a $5 corkage, they will open it, and you can enjoy it there and even take home the leftovers (I know, I know – who has leftover wine? But when you’re responsible for driving yourself to your next destination, then limiting yourself to a single glass becomes the wise choice). This is not just any wine shop. It’s a well curated boutique focused on many of the natural producers I’ve been following. In the dearth of Monday wine offerings, this not only became an oasis, it was probably the location that should have been on the top of my my list. Their bottle notes are to the point and offer easy guidance. And while there were many wines I recognized or have tasted before – there were just as many that were foreign to me. If only they could transplant the entire store to Washington, D.C., so I could sip my way through all their offerings. But Bay Grape is not just wine! There’s a small refrigerated case featuring cheese (!! ), charcuterie (!!) and a baguette that they will toast for you (!!). Toasted warm crunchy bread and creamy gooey cheese, with a flavorful salami – is there a more perfect lunch? I made myself a little picnic right on their tasting bar and it was heaven. One of the owners recommended a Domaine de La Grande Colline Le Canon Syrah, based on some simple parameters I gave him. 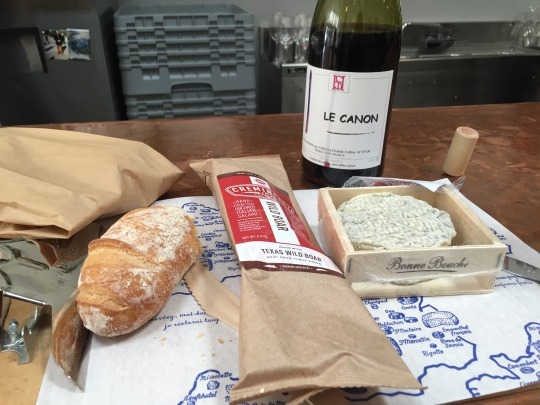 It paired deliciously with the ash-ripened goat cheese, a wild boar salami and the baguette. As I commented on Delectable: “There’s a streak of something lively running up the front of the fruity palate. Candied strawberries mixed with pepper, too.” Have I mentioned yet that it was the perfect lunch? The best part about noshing on all this – there were plenty of leftovers to share as a pre-dinner snack later that evening. Little did I know when I set out on my day that all those Monday closures would lead to the perfect Bay Grape adventure. And while I can’t wait to go back to the Berkeley/Oakland area on another day of the week to explore all the other options, I can guarantee this shop will still be at the top of my to-do list.